HDS 13/20 De Tr1 1524952203 https://www.kaercher.com/au/professional/high-pressure-cleaners/hot-water-high-pressure-cleaners/hds-trailer/hds-13-20-de-tr1-1524952203.html The HDS 13/20 trailer operates at pressures of 200 bar and is the perfect solution for mobile, self-sufficient hot water cleaning at high pressure. The HDS 13/20 trailer operates at pressures of 200 bar and is the perfect solution for mobile, self-sufficient hot water cleaning at high pressure. 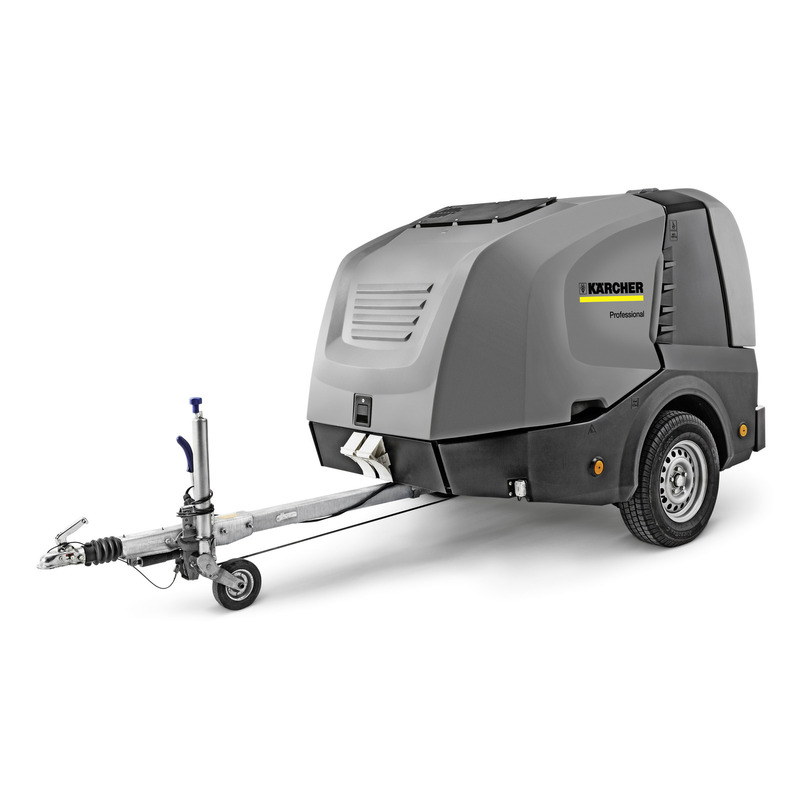 The HDS 13/20 hot water high-pressure cleaner with trailer base offers pressures of 200 bar and features extraordinary mobility and an independent operational capability. The machine is characterised by its high efficiency, reliability and ease of servicing, and on top of this is simple and convenient to operate. The HDS 13/20 can be configured according to requirements and is therefore extremely flexible. The machine is ideal for the most varied applications, for example in construction, industry or in the municipal sector. Highly efficient, tried-and-tested burner technology. Heat recovery through use of waste heat from the engine. Environmentally-friendly operation and low operating costs thanks to Kärcher's eco!efficiency mode. The machine is easy to operate using a central selector switch. Easy to set up and dismantle thanks to two optional hose reels in the control area. Safe and ample storage for protective gear, accessories and cleaning agents. Large 500-litre water tank for cleaning applications of up to 30 minutes at full water power. With 100-litre diesel tank: ideal for long periods of use. Powerful Yanmar diesel engines allow the machine to be used independently of any power source. Thanks to its configurability, each trailer can be custom-made according to customer requests. Available as Skid or Cab variant for mobile application as a trailer or as a stationary solution. A large hood enables service staff to access the internal components more easily. Sophisticated service software for rapid fault diagnosis during servicing. Tried-and-tested high-quality Kärcher components guarantee a long lifetime. Includes: Water softening system to protect the heating coil against calcification. Numerous safety functions protect the HDS trailer against damage in the case of an error. Integrated frost protection mode to protect all components in cold exterior temperatures. Highly efficient, tried-and-tested burner technology.